OnePlus has now officially upgraded both the 5 and 5T to Android 8.1 Oreo. As implied by the version number, this isn't a huge update from Android 8.0 Oreo. However, OnePlus has included a few of their own features as well. Android 8.1 Oreo acts more as a revision to Android Oreo than a new update. It corrects issues specific to Pixel devices and adds features that just missed the cut for 8.0. 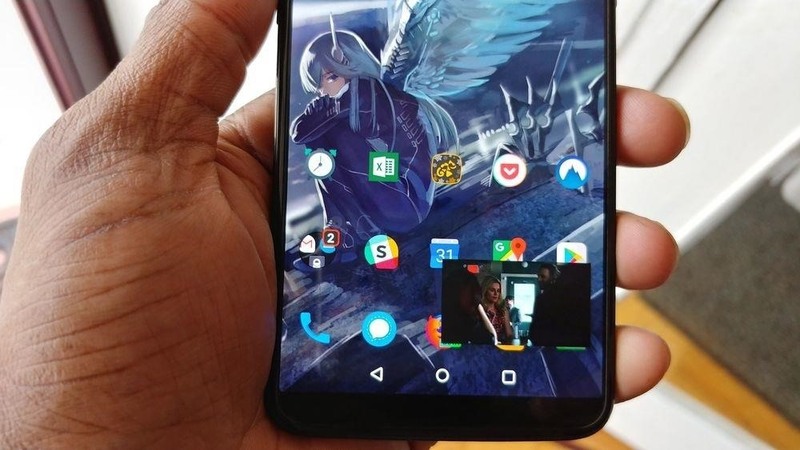 While there are some under-the-hood changes, the visual changes of Android 8.1 are minimal for OnePlus 5 and 5T in part because of Oxygen OS, which implemented other 8.1 features such as the automatic dark theme back with 8.0. Nonetheless, there are still some interesting OnePlus-specific changes. Finally, OnePlus users can see the battery life of Bluetooth devices paired with the 5 and 5T. As long as the device support Hands-Free or GATT profiles (typically devices that use Bluetooth 4.0 LE and higher), you will now be able to see the battery life in both the Quick Settings and under the Bluetooth menu in Settings. Although Google added picture-in-picture mode with Android 8.0 Oreo, Netflix only includes the features for devices running Android 8.1. To use it, open Netflix and start a video. Select the home button to continue the video in a small pop-up which you can move around your screen. Toast messages (the small pop-up messages that appear along the bottom of your screen) are now receiving an upgraded look. Instead of rounded gray backgrounds, these messages will now have semi-transparent white backgrounds with black text. It is a small change, but an appreciated one. While this feature isn't a part of the official update from Google, OnePlus has included this with their latest beta release. With Open Beta 6 (or 4 for the 5T), you now have a new method of answering calls that doesn't require you to touch the screen. 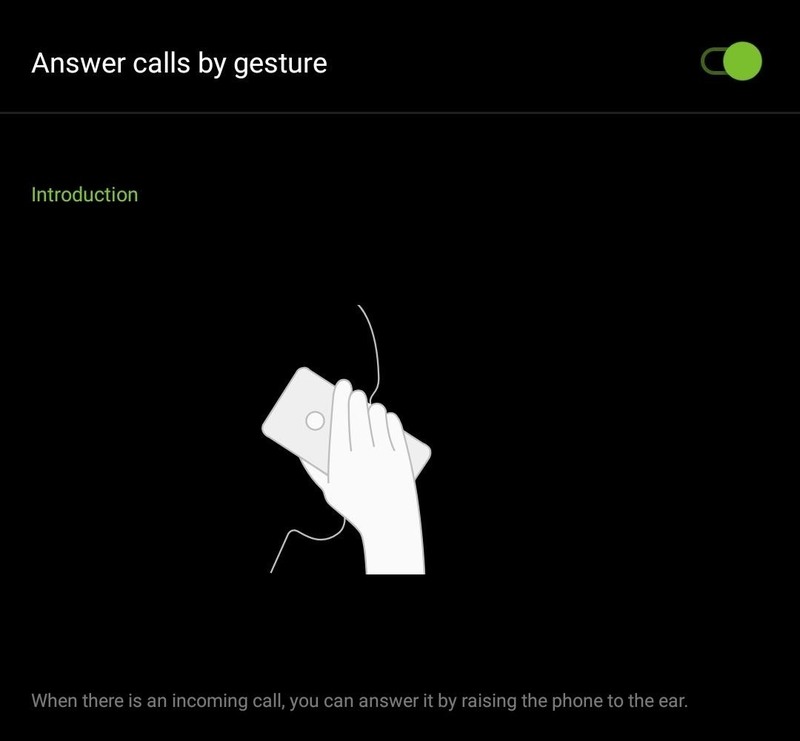 While in Settings, select the "Gestures" option and choose "Answer calls by gesture." Once enabled, when you receive a call, you can answer it by simply raising the phone to your ear. Thanks to their AMOLED displays, OnePlus 5 and 5T models include an Ambient Display feature which turns on a few pixels to display a small amount of information. 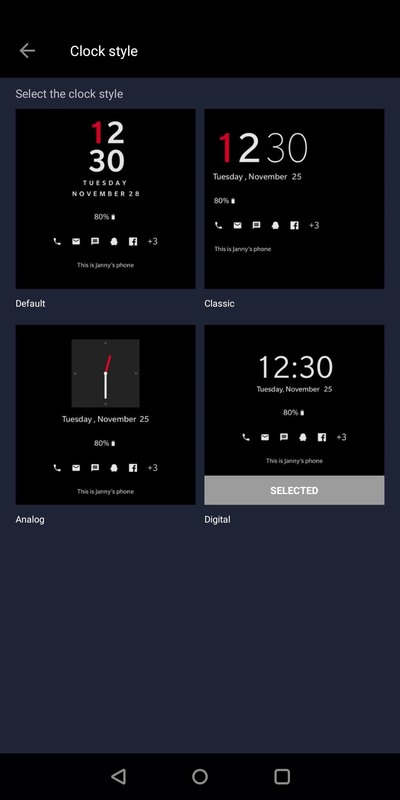 With the latest beta release, you now have more choices when it comes to how the clock is displayed, including using an analog clock. This feature was first introduced with Open Beta 3, but OnePlus cleaned up the option in Settings with the new 8.1 release. 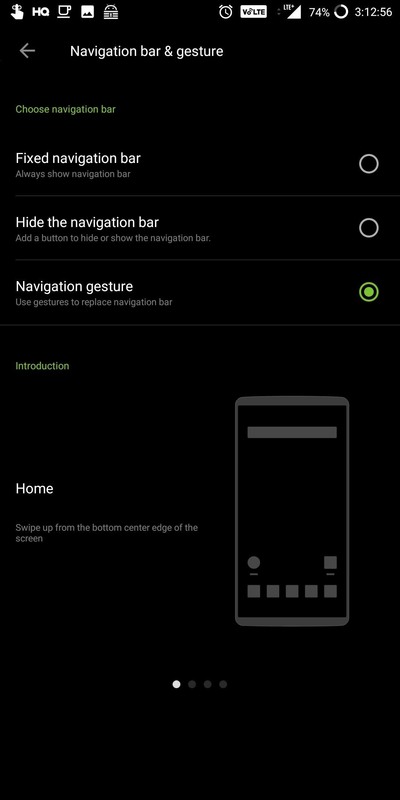 The navigation gesture options are now properly described so you know what you need to do to enable the gestures. There are even GIFs that show each gesture! If there are multiple unsuccessful attempts to unlock your phone via the fingerprint scanner, the fingerprint scanner will now be disabled and the user will be forced to input the PIN, pattern, or passcode instead. This might be annoying sometimes, but it definitely helps with deterring thieves. Additionally, if you're ever in a situation where someone is trying to force you to unlock your phone with your fingerprint (e.g., law enforcement), you could purposefully use the wrong finger to lock your phone and require a PIN. Additionally, if an authorized user keeps activating this feature, it can be an indication that their stored fingerprint needs to be recaptured. Third-party apps can now access the Safe Browsing API. Safe Browsing is a Google service which protects against malicious and fraudulent websites and links. Google's Safe Browsing contains a frequently updated list of unsafe web pages and resources. Apps can now use this service to check the security of a link, warn users about potentially dangerous web resources, and stop them from accessing them. With this technology, even if an app becomes corrupt, any redirected web links should be caught before doing damage to your device. As more devices take advantage of machine learning, many are including a neural processing unit to perform machine learning computation more effectively. The Qualcomm Snapdragon 835 (found in the OnePlus 5 and 5T) has it own unit, known as the Hexagon DSP. 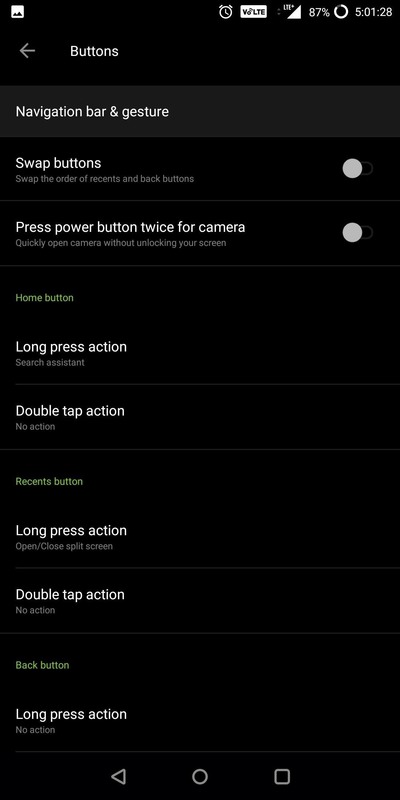 With Android 8.1 Oreo, apps running on the OnePlus 5 (and 5T) can improve their machine learning computation by taking advantage of hardware acceleration and inference on the Hexagon DSP. This will allow all machine learning computation to perform faster, improving the overall performance of the app. With notification channels (introduced in Android 8.0 Oreo), multiple channels can ping your device at the same time from the same app, meaning you could receive multiple alerts per second. 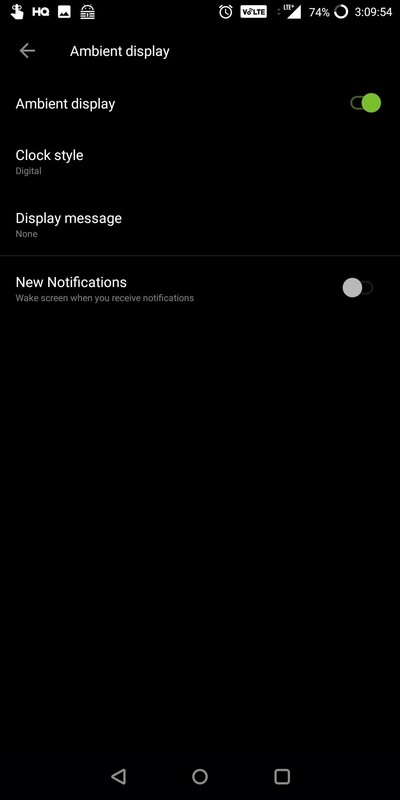 Android 8.1 Oreo changes this by limiting notification alert sounds to once per second. So while you'll still receive all your notifications, you won't receive multiple sounds, which are redundant (and annoying). Aside from these features, Android 8.1 brings small changes such as an updated security patch level (April 2018) and data migration support for OnePlus Switch. But more importantly, this update shows OnePlus is committed to keeping their devices on the latest version of Android. What do you think about Android 8.1 so far? Let us know in the comment below.